quality time with the fambam-just being me. silly. goofy. carefree. SO relaxed. gawwwwh. LOVING the beautiful, perfect weather these days. Please just stay this way forever? I love your sweater. I like the carefree pics! Love the way you braided you hair:) I’ll come back here again many more times. Yes please do EmerJa! Thank you for the compliments! xO! what a comfy and carefree outfit! love the braid in your hair! Thanks Sandy. i love braids, they’re so easy xO! 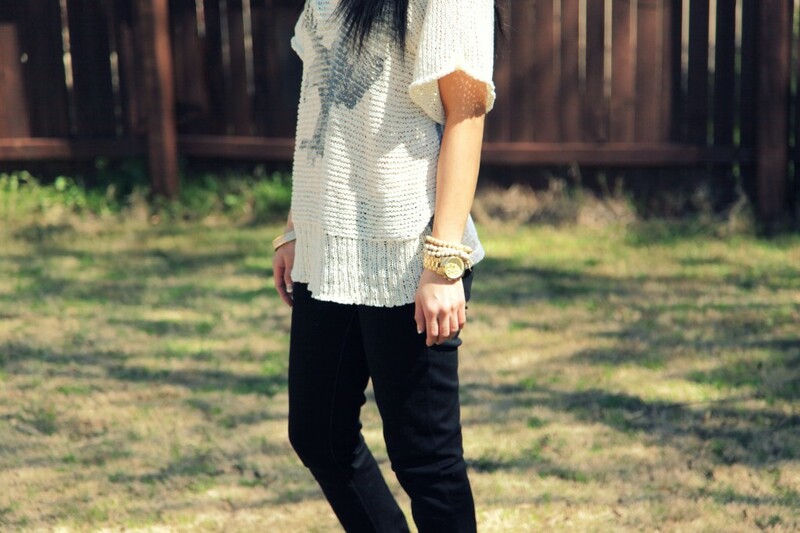 Love this casual, carefree look! 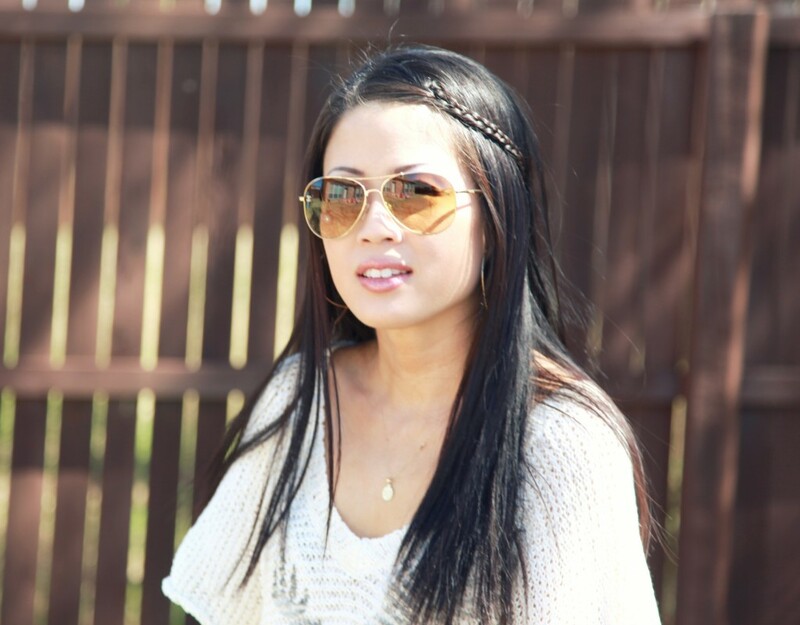 The braid adds the perfect boho feel. You’re absolutely gorgeous! Thanks BRi! you’re too sweet! xO! this makes me wish it was sunny and warm this way! it is nice to get some relaxing family time to take your mind off all the stressful things in life! I know! Sunny weather is always uplifting. Thanks for following me xO! I follow on twitter and bloglovin …. Nice to meet you! … you are beautiful! Thank you Nikol! You’re so sweet. Thank you for following me! xO! Thank you for following me Anete! xO! Thank you rasberry Blonde! xO! Elle looks EXACTLY like you in the first picture! love it! thanks so much for stopping by! i always get so excited to connect with an asian blogger 🙂 I’m following you on bloglovin! Hi Chicpear! I’ll follow you too!!! xO! i LOVE the sweater! it’s perfect!! hey you look stunning love you’re style ! and wow you are pretty too! Will follow you now! Thank you Carla Sophie!!!! will check out your blog asap!!! xO! love your sweater and princess like braid! 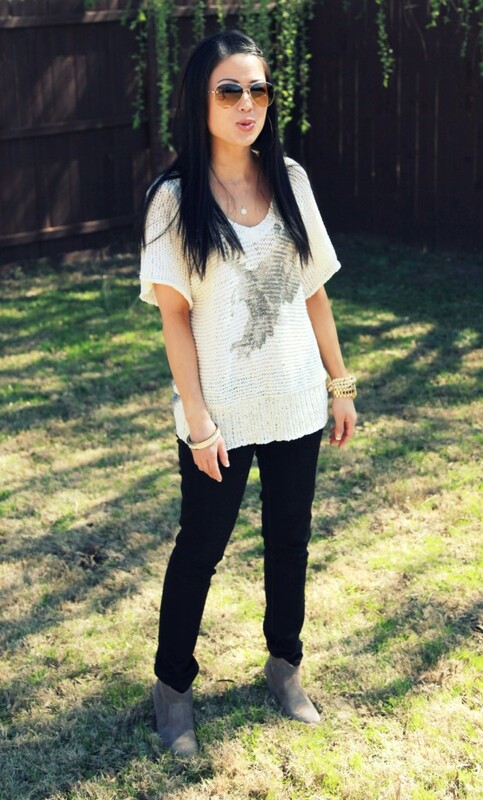 i have the same booties – always love relaxed looks!